I don’t know about you but these days I never seem to get a minute to myself. I seem to be permanently running on adrenaline. To top it all, I get so busy and so engrossed in what I am doing that I regularly forget to eat! It is nothing for me to get to 2 pm and realise all I’ve had is 3 cups of coffee! Not good! 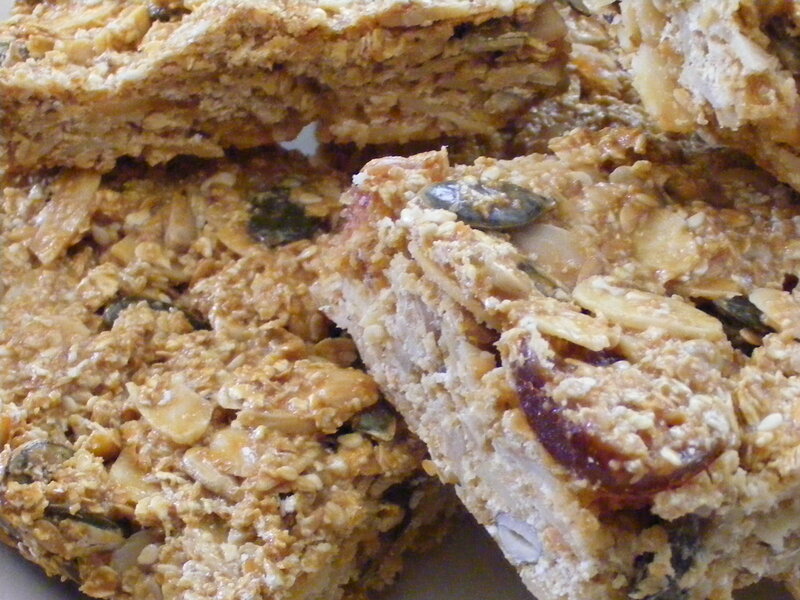 The beauty of this recipe is that, although they are called breakfast bars, you can just as easily grab one for lunch. They are full of slow release carbohydrates and taste gorgeous! They are so simple to make and use one of my favourite ingredients, Condensed milk. Nan is a character and a half, that’s for sure! Her language is disgusting and her manners shocking but she is still my Nan and I wouldn’t have her any other way. I have actually just spoken to my Mum to ask for “Nan-isms”. Unfortunately everything we came up with was completely inappropriate or just downright crude! So you are left with the 3 above and even they are a bit dodgy! I will at some point share my recipe for “Potty Dotty’s Wacky cake” which is another of Nan’s favourites. So, now you know why condensed milk makes me smile! Very gently warm the condensed milk in a large saucepan until runny. Tip into the swiss roll in and press down. I wear gloves and do this by hand. Bake in the oven for approximately 1 hour or until golden brown. Leave in the tin for 10 – 15 mins then cut into pieces. They keep really well in an airtight container. You can adapt your recipe to suit whatever is to hand. I have made it with cranberries and peanuts, dates and pecans and if I don’t have quite enough oats I throw in some coconut instead. No two batches are ever the same. Let me know how you get on and what flavour combinations you use.